This guide is Tally inventory management Part II. 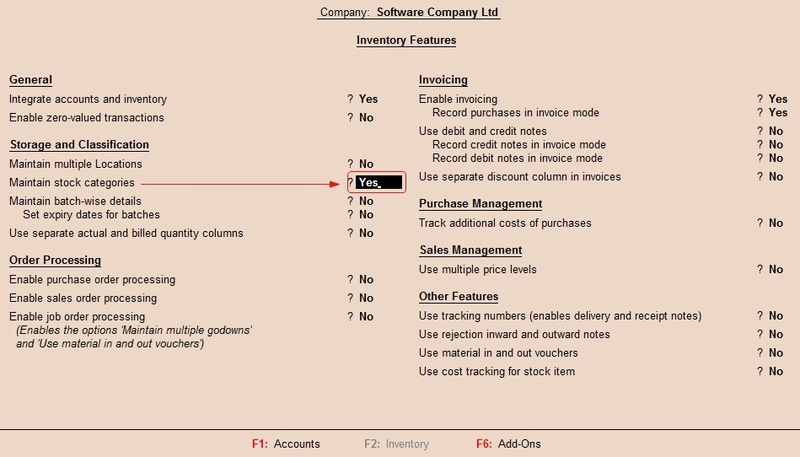 In the first guide, I talked a lot about Tally inventory management including the features that made it outstanding. One of these features have been covered into detail in the first part of this article and that is Stock Groups. In this article, I want to look at yet another Tally inventory feature that contributes to making the inventory management in tally a lot easier. 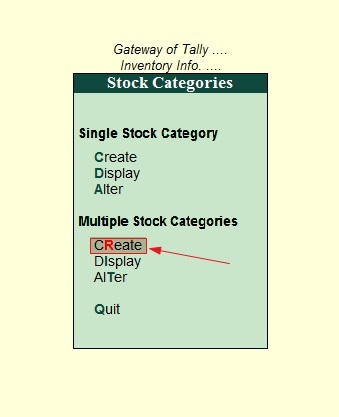 What are Stock Categories in Tally? Stock Category is an inventory management feature or tool in Tally ERP 9 that offers a parallel classification of stock items. But if that’s the case, what’s the difference between stock groups and stock categories? Well, generally, there is no difference between these two features since they both exist to classify stock items according to certain features. So it is safe to say that the Stock Category feature is an additional tool for grouping items in Tally. Why then do we need to use both stock groups and categories in inventory management instead of just one? You may be curious to know. Yes, it is true that only Stock Groups can be used to group Stock Items. But sometimes you may want to group stock items in another group structure that doesn’t relate or depend so much on the previous group structure. You know, the concept of sub-groups in Tally is that they are dependent on their parent groups. But categories, however, is a little different – They aren’t dependent on any parent group, they are different groups on their own. For example, you may have the following stock groups and categories. From the above stock categories and group structure, stock items classified under Stock Groups are based on the phone brand whilst items classified under Stock Categories are based on the phone features (Single and Double sim). In other words, items are categorized across different stock groups. the Stock Category feature in Tally is important as it let you the user to obtain reports base on several characteristics. For instance, you can generate reports on all Samsung Phones or Apple Phones. You can also generate reports on all Dual Sim or all Single Sim phones for all brands. When you don’t see the stock category option in your Inventory Info. menu, it means that it hasn’t been activated. Most of the time this feature is turned off by default when you first install Tally ERP 9. The Company Features menu appears, click to open Inventory Features. Under Storage and Classification, set Maintain Stock Categories to Yes. Press Ctrl+A to save settings. Hit the Esc (Escape) key to return back to the Gateway of Tally. Creating stock categories has the same procedure as creating Stock Groups which is already been explained in my previous tutorials. You can create Stock categories using the Single Stock Category option as well as the Multiple Stock Category Option. Whilst in the Gateway of Tally, Click Inventory Info. Click Create (Under Single Stock Category Option). Go to Gateway of Tally → Inventory Info. → Stock Categories → Create (Under Multiple Stock Category Option). After selecting the Create option either for single or multiple stock category, the information you need to provide is the name of the category and also specify whether the category is a primary (parent) category) or a sub-category. Creating under the Single Stock Category means that you can only create one category at a time. 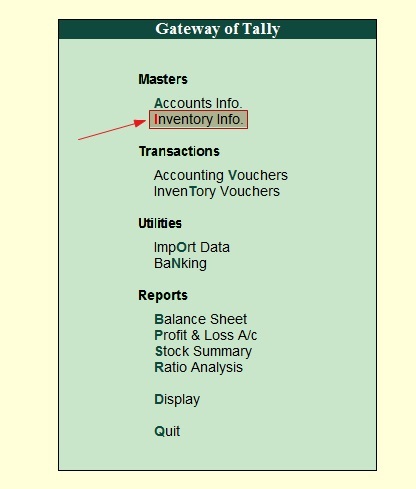 And under Multiple Stock Categories, you can create several stock categories all on the same screen. You can also Display as well as Alter your stock categories both under the single and multiple options. But if you haven’t yet created any stock category, the Display and Alter button cannot function as there isn’t any category to Display or Alter. Now in the next and final part of this Tally Inventory tutorials, we’ll discuss Stock items. How to create, display and alter Stock Items and how to record them under stock groups and categories.